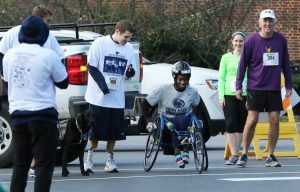 The Nittany Lions had extra help from our Sundance Vacations Harrisburg, Pennsylvania, office with their Penn State Ability Athletics’ Run, Walk & Roll Mile Race this past October 29. Penn State University’s (PSU) physically challenged athletes came together to compete in some friendly Paralympic sports at University Park, Pa.
Sundance Vacations Harrisburg office managers Mike and Barb Kasper stand with a shirt from the day’s events given to them as a thank you for their sponsorship. 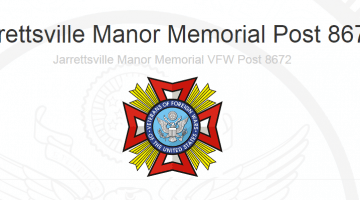 Of the people who ran in the Run, Walk, and Roll One Miler, the fastest was 48-year-old Rod Stahl, finishing at 5:16. There was also a wheelchair challenge where, 21-year-old Brett Gravatt finished the quickest, at 3:30. 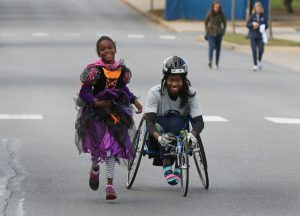 In addition to the races, there was a Halloween costume contest and prizes donated by local businesses such as Duffy’s and more. 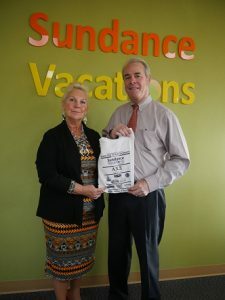 Sundance Vacations was the largest sponsor of their event at a “Platinum” level, donating $4,000 for the race day events. 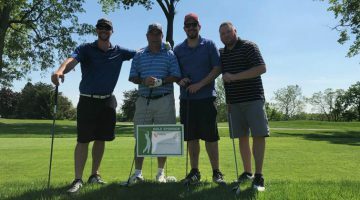 The idea to sponsor the event was the idea of our Sundance Vacations Harrisburg office managers Mike and Barb Kasper, who tell us they wanted to do something big to help the university’s physically challenged athletes. 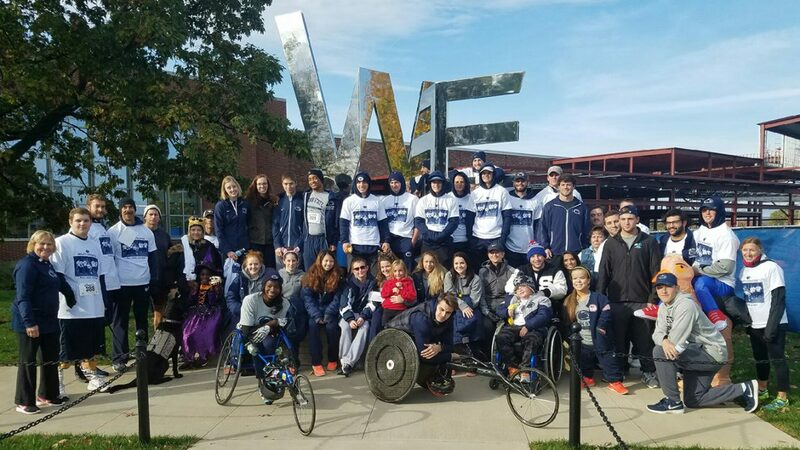 Teri Jordan, Penn State Ability Athletes Disability Recreation Programs Coordinator, tells Sundance Vacations that everyone involved in the PSU event was extremely grateful for the support. Be sure to check out the race day photos below! 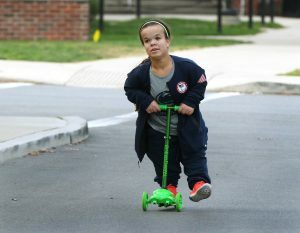 You can find more by visiting the Ability Athletics Run, Walk, and Roll Mile Race Photo Album. 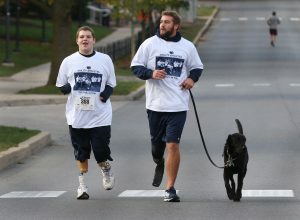 For more information on upcoming PSU events for their Ability Athletics team, visit http://www.gopsusports.com/ability/. We were in Manhattan during the NYC marathon this past weekend. I was super impressed by the athleticism and the specialized wheel chair set ups for the division that set off at 8:30 am. Sorry runners but I was enthralled by this special rolling group. We’re happy to help support PSU and the ability athletes.